Braun Series 5 Comparison And Differences: Which One Should You Buy? 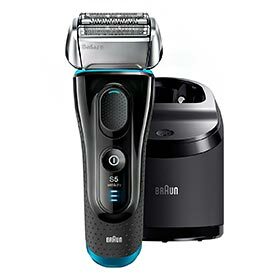 The Series 5 from Braun is a mid-range line of electric shavers that fills the gap between the entry-level Series 3 and the best-selling Series 7 shavers. However, if we consider the performance and the overall capabilities of the Series 5, they are a whole lot closer to the Series 7 than the Series 3. Add in the fact that the Series 5 costs less than the Series 7 and is actually better in certain areas and we have the recipe for a very compelling product. Just like with the Series 7 and Series 9, there are many variations of the Series 5 available and Braun doesn’t exactly make it easy for us to spot the differences. Moreover, the current generation has received an update, making it even more difficult for the potential buyer to decide which model would be right for him. In this post we’ll take a close look at all the important differences between the various Series 5 models and see which ones are the best with regards to price and performance. The current Series 5 from Braun is actually the third generation since the introduction of this line. Some of the previous (discontinued) models — like the 550cc — can still be found, but in this article we will only be referring to the current generation. You can easily tell the current shavers apart from the older ones as they use a 4 letter template for the model names: 50** or 51**. The 51** shavers are actually part of a small update to the current line that Braun refers to as the Series 5² (more on this in the next section). 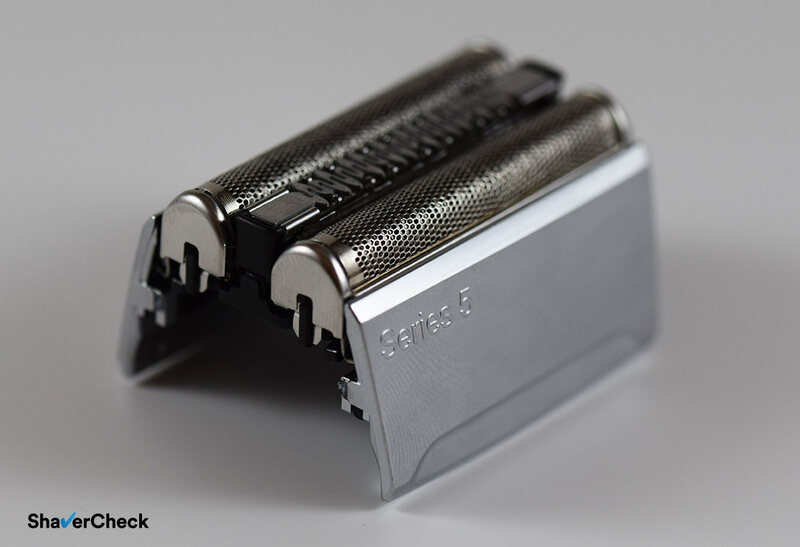 The Series 5 is a foil shaver that features a cutting block with three individual elements, just like the Series 7. It is available with or without a cleaning station and includes variations suitable for wet & dry or dry only use. Just like other Braun shavers, the ones that include a cleaning station are the CC models (standing for Clean & Charge), like the 5190cc. The S (standing for solo) models like for example the 5040s or 5147s don’t come with an automatic cleaning station and will not work with one. The solo models lack a dedicated chip that is used to communicate with the cleaning station. 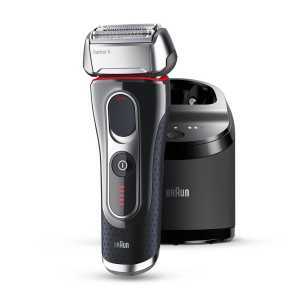 The Braun Series 5 is an electric shaver capable of providing very comfortable and close shaves, similar to the more expensive and highly acclaimed Series 7. While the Series 5 lacks the micro-pulsations technology and personalization modes found on the Series 7, this doesn’t seem to make a significant difference in real life use. The shaving head of the Series 5 is almost identical to the one used by the Series 7, but it costs less. Braun 52s replacement shaving head (cassette). Moreover, since the shaver itself is also priced lower, has a better head locking mechanism and a better display, I would even say that the Series 5 represents a better option for most men. And that’s quite something since the Series 7 was and still is to some degree the unofficial benchmark for shaving comfort and it also gained some sort of iconic status in the industry. 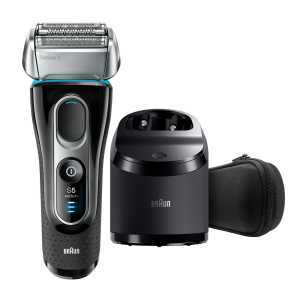 Braun recently rolled out an update for the current Series 5 shavers, called the Series 5². Some of these updated models are now available for purchase — like the 5190cc, 5195cc and 5145s. However, after taking a close look at their specifications it’s obvious that this is — for the most part — just a minor makeover. The updated models are easy to spot as they use the 51** names (for example, 5190cc) instead of the 50** used by the current Series 5 (like the 5090cc). The 5197cc from the updated Series 5². Just like the updates to the Series 7 and 9, this is also an attempt at unifying the line and making it less confusing for the user to choose a shaver. For example, all the newer models are now suitable for wet & dry use and Braun even ditched the model names in the official product pages of their UK site. They are only referred to as Braun Series 5 black or Braun Series 5 black/blue. 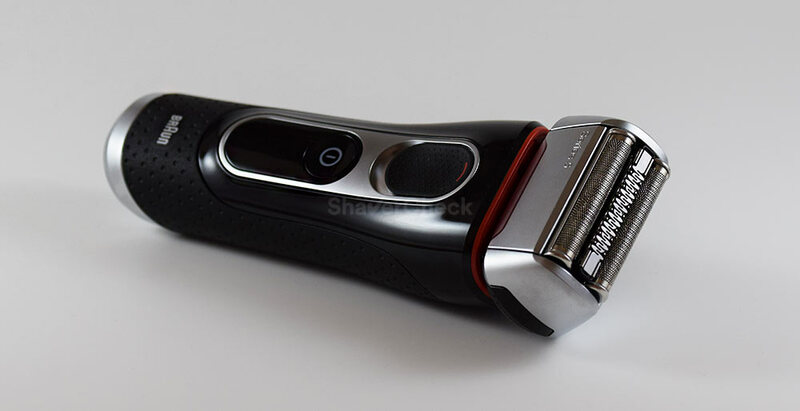 The Series 5² shavers still use the same shaving heads as the current ones and I have no reason to believe that the actual shaving performance is anything but identical. The changes are cosmetic for the most part and include new sleek color schemes and different packaging. The included accessories can differ as well. For example, some models don’t include a soft travel pouch. Other visual changes are the S5 and Wet & Dry text on the front part of the shaver and a new 3 level battery display indicator. The new Series 5² shavers are credited with a 50-minute battery running time, while the current ones last for 45 minutes. It’s very difficult to say if they actually use higher capacity batteries or Braun simply changed their testing methodology. A 5-minute difference is not by any means significant. Probably the most important feature of the updated shavers in the so-called AutoSense Technology. 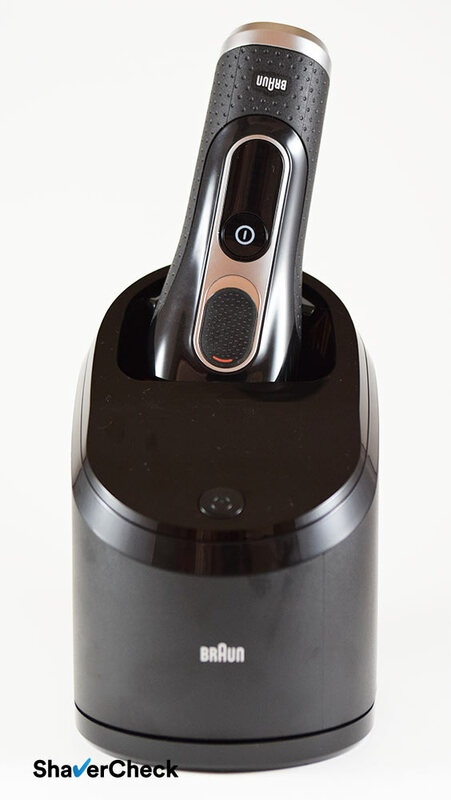 With this new addition, the shaver is capable of reading your beard’s density and adjust the output of the motor accordingly: less power for shaving thin hairs and more for dense beards. In theory, this sounds good; however, in real life use, it doesn’t seem to make a difference. Having used various shavers with this type of technology, including Panasonic and Braun’s very own Series 7 with its personalization modes, I very much prefer shaving with full on power at all times. 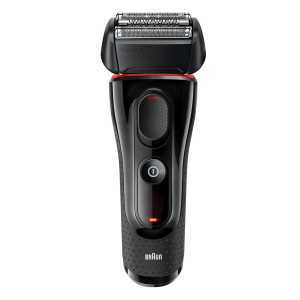 Artificially altering the power output just makes the shaver feel slow without any benefits to comfort or efficiency. For these reasons, I don’t consider the updated models to be a clear step up from the current Series 5, so either would be an equally good option. Below you’ll find a table with the differences between the Braun Series 5 and Series 5² models. Braun Series 5 comparison: what are the differences between the most popular models? Currently, these are the most popular models available in the USA and Europe as well: 5090cc, 5040s, 5030s, 5140s, 5145s, 5190cc/5195cc. As seen in the previous section, the ones that start with 51** are part of a new minor makeover. I will update this post once I can get one and have it tested thoroughly, but I don’t expect them to bring any significant performance improvements over a 50** model. Braun’s clean & charge stations work excellent; they use an alcohol-based cleaning solution that cleans and lubricates the shaver and does so extremely well. The ones that come with the Series 5 are no exception and since Braun’s shaving heads can be more difficult to clean manually compared to other foil shavers, you’ll probably want the cleaning station as well. Out of all the models from the 50** Series 5 line that come with a cleaning station, the 5090cc is the only one that has a full option cleaning base, including the hygiene analysis and three cleaning modes (short, normal, high intensity). The other ones cc models in the 50** generation (5070cc, 5050cc) only have one standard cleaning program and they are only available in certain countries. The shavers in the new Series 5² like the 5190cc or 5195cc use the same cleaning station as the 5090cc with the 3 cleaning modes. The 5090cc is getting more difficult to find at this moment, so the 5190cc or 5195cc would be two equally good alternatives. For more details you can check out our review of the 5090cc. As for the downsides, the alcohol-based solution tends to evaporate fast, so you’ll want to put the plastic cap back on the cartridge if you won’t be using it for a long time. Here are more tips on how to make the refills last a lot longer. The stations that come with the Series 5 lack the active drying systems of the more expensive Series 7 (only certain older models) and Series 9 stations — induction heating or a fan. This means that once the cleaning cycle is over, it will take several hours for the shaving head to dry. Also, while the cost per cleaning is not that high, it is higher compared to Panasonic or Philips Norelco as their detergent based solution seems to last longer before needing to be replaced. Luckily, there are third-party cleaning solutions that cost a lot less and work just as well. Please note that if you use shaving cream with your Series 5, you’ll have to manually clean any lather or soap residues before placing the shaver into the cleaning station. If you fail to do so the cleaning station can eventually clog. Because of this limitation and the fact that pretty much all Braun shavers are fiddly to clean manually, the Series 5 is probably not the best option if you plan on shaving with cream or gel. Panasonic and Philips Norelco are much better options for wet shaving. Stick to Braun for dry shaving. In my opinion the Series 5 5090cc/5190cc are probably the best option for most men; they come with the full-fledged cleaning station and are also reasonably priced. Again, the actual shaving performance is identical throughout the entire Series 5 line. You can of course opt for a solo model like 5040s and clean it manually, but I think the station is really handy for cleaning the shaver thoroughly a few times a month. In this manner your costs will be minimal and this will prevent dirt buildups inside the cassette. As mentioned previously, using a Series 5 with shaving cream will always imply a manual cleaning, even in the case of the recently released wet & dry models that include the cleaning station. If this isn’t an issue, then you can opt for the 5040s variation or other models from the updated series (like the 5145s for example). Since the performance will be the same, you should simply get the cheaper one. The models that don’t include a cleaning station usually cost less, but that’s not always the case. The 5040s has a 2 level battery indicator and can’t be used while the shaver is plugged to the mains. This is a safety precaution that’s present with all wet & dry shavers. The dry only models like the 5090cc can also be used when charging via the cord. Price is another factor you should be taking into account when trying to decide which Series 5 to buy. If you can find a good deal for a particular Series 5 variation that is suitable to your needs (for example the inclusion of a cleaning station or wet/dry operation) you can go right ahead and buy it. Which brings me back to the 5090cc or 5190cc that can usually be found at an excellent price. 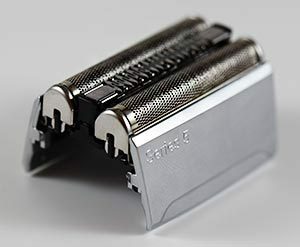 Since all the Series 5 use the same replacement shaving heads (called cassettes) and the same cleaning cartridges for the stations, the only variable is the price of the shaver itself. All the Series 5 models use the same 52s / 52b shaving heads. Speaking of the replacement shaving heads, the 52s (silver) and 52b (black), the price you’ll have to pay for replacing them is quite reasonable. The Series 5 cassettes cost less than the ones needed for the Series 7, 9 or similarly priced Panasonic shavers, like the Arc 4. As a result, the Series 5 offers excellent value for money. While I never considered color to be a decisive factor when buying an electric shaver, it can be more or less important to some users. In my opinion, the Braun Series 5 is (in its current form) one of the better looking electric shavers out there. I particularly like the hefty appearance that goes perfectly with the black color scheme. The red or blue accents really pop and again, work great together. It seems like a lot of thought has been put into the design of the Series 5 to make it not only function great, but also look great. The various Series 5 models are only available in black with a splash of blue, red or silver in certain parts. The shaving head has either a black or a silver finish. The black & blue color scheme of the wet/dry 5040s or the updated 5195cc and 5190cc looks the best in my opinion. Apart from the automatic cleaning station that comes only with the CC models, the included accessories can vary slightly between the different Series 5 shavers. For example, the 5090cc, 5195cc and 5145s are the only models that come with a hard travel case. All the other ones only include a soft pouch that offers little to no protection in case of mechanical shocks. Braun Series 5 5090cc with the included accessories. Moreover, the 5190cc and the 5140s from the updated series don’t even include the soft pouch. On the other hand, all of the Series 5 models come with a plastic protection cap except for the 5090cc, 5195cc and 5145s. All the Series 5 and Series 5² shavers include a cleaning brush and a charging cord. Unfortunately, a small bottle of lubricant is not included. That would have been a welcome addition, particularly for the S models that don’t have the cleaning station. The CC models also include a cartridge for the automatic cleaning station. Below you’ll find a table with the included accessories for the various Series 5 models. When it comes to actually buy a Series 5, there are only a few things that really matter: the inclusion of a cleaning station, wet & dry operation and the price. The rest of the things that vary throughout the Series 5 line are not that important and, again, won’t affect the performance of the shavers or provide any particular benefits. The newer models that were introduced — 5197cc, 5190cc, 5195cc, 5147s, 5145s and 5140s — don’t really bring any significant improvements over the 50** shavers. If you already own a 50** Series 5, an upgrade to the Series 5² is not justified. Also, if you plan on buying a Series 5 and you’re on the fence on whether to buy one of the 50** or 51** models, just get the one you can find at a better price. If a certain model looks like a good fit for your needs — for example it comes with a cleaning station and is suitable for dry only use — then that’s pretty much all there is to it. Up until recently the dry only 5090cc was the pick of the bunch. But since it’s getting phased out, the 5190cc represents a very good alternative and the price is also similar. Let’s not take a look at the differences between some of the more popular Series 5 models. The 5090cc includes the automatic cleaning station. The 5040s does not. The 5090cc is suitable for dry use only, while the 5040s can be used wet or dry. The 5090cc also works with the cord plugged in. The 5090cc comes with a hard travel case; the 5040s comes with a soft pouch. The 5090cc features a black, red and silver color scheme, while the 5040s is black with blue accents. The 5090cc features a 5 level battery display, while the 5040s’ display only has a 2. How do they shave? Exactly the same. The 5090cc would be the best option in the majority of cases, while the 5040s should be considered if you plan on using shaving cream and don’t mind cleaning the shaver manually. The 5040s is a wet & dry electric shaver, while the 5030s can only be used for dry shaving. The 5040s features a black & blue color scheme, while the 5030s uses blue for the accents. The 5040s has a 2 level battery indicator, while the 5030s has 3. The 5040s lasts for 45 minutes with a fully charged battery, while the 5030s should last for 50 minutes. Which one should you buy? Well, if you need wet/dry capabilities then the 5040s is the one to have. If you don’t then you should pay a bit more and go for the 5090cc instead; it’s basically a 5030s with a cleaning station and a hard travel case. At least at this moment, the price difference between the 5090cc and the 5030s is marginal. If you can’t get the 5090cc anymore, the 5190cc or the 5195cc from the updated Series 5² are two very similar shavers. The 5195cc variation is identical to the 5190cc except for some minor differences in color and the inclusion of a travel case. The 5190cc has a beard density sensor. The 5090cc lacks this feature. So which one should you get? Since the differences between them are not significant, I would simply get the one I can find at a better price. I do however have a slight bias toward the 5090cc; the hard travel case is really useful and most men will shave dry anyway. 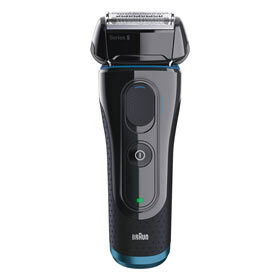 The Series 5 from Braun should definitely be considered by anyone looking for a high-quality foil shaver that doesn’t have a premium price tag. In my opinion the Series 5 is the entry point to Braun’s high-quality shavers and a huge step up from the entry-level Series 3. With all the available variations, it can be time-consuming to weed out all the marketing fluff and get to the actual details and features that matter. Hopefully this post has managed to clear up some of the confusion surrounding the Series 5. If you have any other questions make sure to post them in the comments section below. Home » Articles & Guides » Head to head » Braun Series 5 Comparison And Differences: Which One Should You Buy? A very informative article. You answered a lot of questions I had. I especially liked the comparison chart. This article made my decision of which series 5 to purchase much easier. You are very welcome, Thomas. I’m glad to know you found the information useful and that it helped you with your buying decision. Enjoy your new Series 5 shaver! Does the Braun 5147s operate with the cord plugged-in? No, it’s a wet dry shaver and can’t be used while the cord is plugged in. Thanks for this very good review. Could answer me the following questions: 1. Which are the exact differences between the models 5090cc and 5050cc on the European market – do they really have different cleaning stations and is it worth to go for the higher spec one? 2. Is there also one of the new 51* models that comes with a cleaning station and can be charged during shaving? 3. Does the shaving head come in one part and is manually similarly hard to clean as the series 9 one? 4. Has the cleaning station the same size in comparison to the series 9 one? 5. Is the trimmer any different to the series 9 one which I find quite marrow and I don’t like the slightly round shape? Thank you very much in advance. 1. The only difference is indeed the cleaning station and I don’t think it’s worth spending more money on the 5090cc model just for the two extra cleaning modes. The end result of a cleaning cycle will be the same. 2. Since all the 51** models are suitable for wet & dry use, you cannot use them while charging. 3. Yes, the shaving head comes in one part and it’s pretty similar to the Series 9 shaving head in terms of how difficult it is to clean manually. 4. Yes, the stations are pretty much identical (size-wise). 5. The trimmer is the same as the one on the Series 9, maybe just a tad narrower. I had the same gripes with it, I didn’t like the curved profile and it required many strokes to get all the hairs. Thank you Ovidiu. Regarding your answer to question 1. – do you have more control over the usage of cleaning fluid with the two extra cleaning modes and would it therefore make sense to go for the higher spec cleaning station? Finally did you also compare the series 5 with the series 9 in one of your recent reviews? I am undecided between the two of them. You are welcome, Sven. In theory, a short cleaning cycle would be more economical than a high intensity one. I personally haven’t noticed a significant difference between them as all seem to last for 2 to 3 minutes. So I wouldn’t say that you’ll get more cleaning cycles with the 5090cc. The Series 9 is a step up from the Series 5 and 7. It is more enjoyable to use, more refined (it doesn’t vibrate as strongly as the Series 5) and will shave faster. But the closeness of the shave was pretty similar in my case. The Series 9 would be a better pick if you shave less often and have flat lying, wiry facial hair. It definitely handles longer hairs better than the Series 5. After I read your fantastic article I was thinking to purchase a 5030s, however, this model is not available currently in my country. There is 5050CC model available that actually is chipper than 5030s (Has to be ordeted) . Is there any significant difference between these two models? Thank you for your comment. Regarding the differences between Series 5 5030s and 5050cc, there’s really just one – the 5050cc comes with an automatic cleaning station, while the 5030s doesn’t include one. If you can get the 5050cc for even less money, then you should definitely go for that one. Thanks for the article, It was very informative! Quick question for you… if I wanted to buy a travel case for the 5197cc, which would get? When I search it, the series 3 hard case comes up. Will that fit it? You are very welcome, Kris. Since these are third party cases, it’s hard to tell if the one for the Series 3 will accommodate a Series 5 as well. I think it’s safer to simply assume that it won’t. Some universal cases like this one are larger and there’s enough room for the charging cord as well. Finally, there’s the option of an original Braun hard travel case for the Series 5. You can get it from Braun’s encompass listing here. Great article. Thank you for taking the time to provide comparisons. I have an old Series 5 Activator that has lasted about 10 years, but the cord finally broke at the connection point with the shaver, and now I am comparing a Series 9 and the 5040s. I would say the 9 has a much smoother motor (but it costs over $300 CAD) and I just bought the Series 5 for $100, and it came with a replacement foil head as a promotion. Thank you for your comment. That is correct, the Series 9 is more refined, but then again a lot more expensive. $100 plus a replacement cassette sounds like an excellent deal and I hope you’ll enjoy your shaves with the new Series 5. How often should you change the shaving head on a Series 5040S? I use it as wet shaver applying a thin coat of Edge shaving cream. That really depends on how often you shave, how coarse is your facial hair and how well you take care of your shaver (cleaning and lubrication). Braun recommends changing the cassette every 18 months, but depending on the factors I just mentioned you may need to do it sooner or later on. If you do everything right but you notice a drop in performance or comfort that’s a good indication that the shaving head must be replaced. I currently use a series 3. I find it very comfortable and close enough but it takes time to get all the hairs. What would I gain by upgrading to a series 5? A Series 5 is more powerful and the shaving unit is superior as well. Having used both the Series 3 and 5, I would have to say that the Series 5 feels a lot faster, it is more comfortable during use and a lot better at shaving longer, flat lying hairs, especially on the neck. The whole shaving experience is more enjoyable with the Series 5. If you have coarse and dense facial hair, the difference will be even more obvious. In my opinion the Series 5 represents the entry point to Braun’s high quality shavers. That is also reflected by the fact that the Series 5 is very similar to the Series 7 in terms of performance and quality. Great post and thanks for the advice! My first and second electrics were Braun Series 3’s. I liked them alright and particularly liked their size and how they looked and felt but they didn’t seem to last that long. I then switched to a Panasonic ES8103S which I’ve had for several years. I didn’t much like how it looked or felt in my hand but it shaves well, much better than the old Brauns and just seems very dependable. Now, intending to upgrade, I had decided to spring for the new Panasonic ES-LT3N Arc3, in no small part thanks to your review of it and other articles you wrote. Now this… Could you address my dilemma again? I dry shave my light to medium beard daily. As an upgrade from my ES8103S, the Panasonic ES-LT3N Arc3 or the Braun 5040s? For shaving a short, light to medium beard any of the two will do just fine. They are similar in the respect that they feature 3 blades, are suitable for wet & dry use and cost roughly the same — the prices can fluctuate though. – finally, since you were pleased with the performance of your older Arc 3, opting for a Panasonic should at least in theory be a safer choice. For both the Series 5 and 9 the models that can be used with the cord plugged in are the dry only variations. In the case of the Series 5 you can find them in the table in this post (5090cc, 5030s). 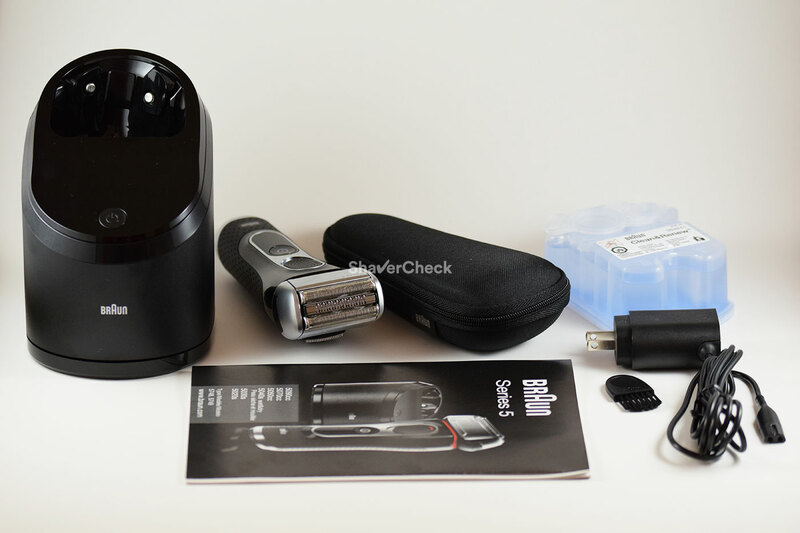 With the Series 9 only the first generation (dry only) shavers can be used while charging (9090cc, 9093s). Thank you for your comment, Nikhil! I’m glad you found the article useful. i bought a 5030s from Argos at £75 and am very happy with it. It DID come with a plastic, protective cap which I think should always be included to protect the delicate foils. I am a bit taken aback to see Braun recommend 18 months “cartridge” replacement. That means three replacement represent the cost of a new razor! However I expect that with careful (and light) use for an ageing face, the heads should last longer than 18 months. Thank you for your comment. I’m glad you’re enjoying shaving with your Series 5. Regarding the price of the replacement heads, you are pretty much on point. Three cassettes will amount to the price of a new shaver. However, given the benefits and the convenience of an electric shaver, particularly one that yields great results, I think it’s worth it. It’s definitely possible to exceed the manufacturer’s 18 months claim. The coarseness of the hair, how often you shave and how well you take care of your razor will ultimately affect the lifespan of the foils and blades. 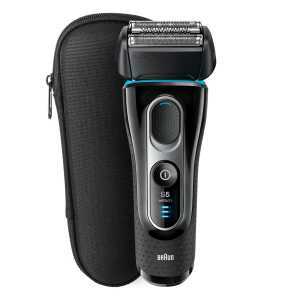 I’m new in the Braun world, I had a round electric razor and it was a nightmare, so I want to try the Braun shaver. I saw the series 3 (3040s) with a tentative price, but then I saw the series 5 and it looks really nice, so I don’t know if it worth to pay more for the series 5 or go for the series 3. what are the pros and cons of the two seires ? And if is the series 3 the best option, which series 3 model? or if is the series 5 the best option, wich series 5 model?… I have a really sencible skin, I’ve never use the electric razor with wet skin because the one I had couldn’t shave with the cream. Sorry for this long question, but I need to choose the right one for a long time. The Series 3 is a very decent, but ultimately basic electric shaver. In my opinion the Series 5 is clearly superior with regards to shaving performance and I personally would opt for it despite the higher price tag. It is more powerful, more comfortable and works better for capturing longer, flat lying hairs. Regarding the actual models, it really comes down to your preferences and needs (wet/dry vs dry only use, automatic cleaning station, price). The actual shaving performance will be the same. In the case of the Series 3, the 3040s seems to be the best pick (wet/dry use, very reasonable price), while the Series 5 5090cc comes with a cleaning station and can usually be bought for an excellent price. Thank you for your comment, Pete. I really appreciate it. Strictly regarding the closeness, I have found them both to be the same. The Series 7 does feel a bit faster when using the highest power setting (the Series 5 doesn’t have any), but the end result is identical, at least in my experience. The Series 5 vibrates quite a lot, you can feel it in your hand and it is also louder when cutting coarse hairs. The Series 7 is more refined, but again, with regards to closeness, there aren’t any differences. I just purchased the Series 7 (7893) for $199. I still have it in box unopened, and was wondering if I should grab the Series 5 (5140s) for $139 instead. The series 5 comes with a bonus nose\ear trimmer. Both ae wet\dry and noticed in many articles that the locking mechanism is better in the 5, with the shaving being unnoticeable close in both. Is the series 7 that much better, or should I return and grab the 5? I have both and I can honestly say that they are very similar in terms of comfort and closeness (full comparison here). The Series 7 does feel more refined and a bit faster though (on the highest power setting). The Series 5 is louder and vibrates a lot when cutting coarse stubble, but again, the end result is pretty much identical. And yes, the head locking mechanism of the Series 5 is far better. The replacement cutters for the Series 5 are usually cheaper as well. The Series 7 7893s can be used with an automatic cleaning station if you decide to get one later on (you can’t do that with the Series 5). Deciding today when I am at store. 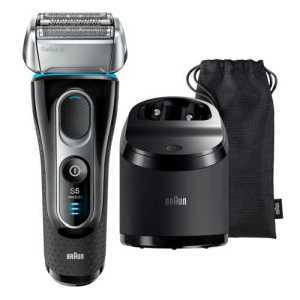 Either way, replacing older Braun 3 with better shaver. And, good point about the replacement parts…. $20 cheaper for that down the road…. What is the difference between Braun series 5 5040s and series 5 5040s flex motion tech wet & dry. This are different models or same? Please share compression if different. Both names refer to the same model (5040s, wet & dry use). Thank you for the kind words, hammi! Glad you found it useful. Thanks for the detail comparison, really enjoy all the informative articles you have here. I bought the 5190cc and as you have rightfully mentioned, Braun series 5 is really good. Have been using it daily and enjoying it. Am new to cleaning station though, thus couple of questions here, hope you can help to shed some light. 1) Do we leave the shaver in there to dry once the cleaning process completed? 2) I notice the cleaning indicator on the shaver still lights up occasionally even though it just went through a cleaning cycle. And it lights up even when the foil head is detached. Curious what triggers the cleaning indicator. Did I probably miss out something in the cleaning process? Thank you for your comment. Regarding your questions, you can of course leave the shaver in the station until it’s completely dry. I personally prefer to take it out of the station once it’s fully charged and simply leave it to air dry with the head removed. I mainly do this so I can remove the cartridge from the station and put the cap back on since I won’t be using it again for quite a few days. As for the cleaning indicator, I wouldn’t worry too much about it. I am yet to see an accurate and genuinely useful cleaning indicator on an electric shaver. The one on the Series 5 and on all the other Braun models is just a timer-based indicator, it doesn’t actually evaluate the hygiene state of the shaving head; it just counts how long you have been using the shaver since the last automated cleaning. And it also doesn’t know whether the shaving head is attached or not. That certainly helps 🙂 Thanks again Ovidiu! Have been a satisfied user of my 5190cc for the past 6 months, but recently, it will just stop 5-10 seconds into the shave. Battery indicator are full 3 bars, not too sure what’s going on, have you face such situation before? If, due to any circumstances, it is beyond repair, can I get a replacement to work with the cleaning station? I notice you mentioned that all “s” model are solo and won’t work with cc. Does that mean i have to get a new 5190cc set? That definitely sounds like a problem that needs to be fixed in a Braun service center. I haven’t experienced anything similar with my Series 5 so far. Regarding the cleaning station, that is unfortunately correct, you would have to buy another cc model in order to work with your station. A solo model will not pair with the station. I just want a shaver that works well, doesn’t look like some tacky, cheap-looking, spaceship wanna-be, fake “platstic-chrome” toy from a vending machine, designed for a 12 year old. This flashy, shiny plastic will scratch. which on the other hand would be an improvement. And why would I want these tacky, space-ship looking indicators? I wish they would go back to basics and design a truly high performing machine, that is simple and aesthetic in design. Clearly, some horrible marketing people have had too much to say for too long at Braun. Hopefully they will eventually find they wayy back and make products that look hygienic, professional and representing the manly, almost “heritage”-level quality that Braun actually has in their products. On that note, the design differences is almost the only thing that matters here. It seems 5030 is the one with the least tacky shine, flash and pazazz. ALso, it doesn’t have the ludicrous cleaning station, or the meaningless wet-shave functionality, and(!) it has a soft pouch. Why soft? Because then you can actually squeeze down the cord in the same pouch. Why would I want to have to deal with the cord separately when travelling? Thank you for your comment. While I do agree to some of your observations, I don’t think things are really that bad with the Series 5 and with Braun shavers in general. Regarding your example, the 5030 also has a high gloss treatment. The cleaning station is great for a thorough cleaning twice a month for example and in the meantime you can simply store it in a cabinet if you don’t need it. The main purpose of a travel case is to offer protection from mechanical shocks and a soft pouch offers none. The cord can be simply tossed in your travel bag without any worries. Apart from the huge third-party cases that can fit a cord, no other manufacturer offers a hard case that can accommodate the cord as well. And yes, some men prefer to shave wet with an electric shaver. It’s a feature that’s there only if you need it. Thank you for your comment. Most Braun Series 7 models for example come in a silver/grey matte finish that feels more durable than the glossy treatments. I understand that you don’t a cleaning station, so the 7893s for example would be a good option. In my experience Panasonic shavers are superior when it comes to build quality. I own quite a few and even after many years of constant use, they still hold up incredibly well — even the ones that have glossy surfaces. First of all, I want to thank you for a great article! It helped me a lot with choosing a new shaver. I’m just wondering whether to buy 5050cc or 5190cc. This will be my first foil shaver, so some questions may seem trivial. For 5190cc I would have to pay about $35-$40 more than for 5050cc, except that in the case of 5050cc I would have 2 additional cleaning cartridges (3 in total) and in 5190cc only 1 cleaning cartridge. I don’t take into account the 5090cc, because I can have it for a higher price than 5190cc, let alone 5050cc. The 5190cc convinces me because of a possibility of wet shaving and 3 cleaning programs. Therefore, I have several questions regarding both of these razors. I will be grateful for your answers and sorry for a veeeery long post! 1. As you mentioned, 5050cc has only 1 cleaning mode, 5190cc has 3 such modes. These programs are selected manually or does the station automatically choose which program it uses? I also saw your post in which you wrote that you don’t see too much difference between the shortest and the longest program. Does this mean that in practice, a 5050cc cleaning station and a 5190cc cleaning station will be able to clean the razor the same amount in both cases? However, can a station with 3 cleaning modes allow, for example, the use of a given cleaning cartridge by 0.5-1 months longer? And what is the hygiene analysis in the cleaning station exactly? How does it work? 2. From what you wrote series 5 doesn’t have the active drying systems after cleaning. Does this statement apply also to the 5190cc (not to mention 5050cc)? And is the lack of this active drying systems affect its lifespan of the razor? I want to use this shaver for at least 6 years or more :). I’m afraid that when the shaver will be left by itself to dry off for a few hours it can rust after few years. If the station immediately would have dry it off in a few minutes, maybe it’ll be better for its lifespand. Does it have any impact? 3. From what I found out, the blades should be lubricated, preferably after each shave. Does the cleaning station in both models lubricate the blades and if the razor is regularly cleaned in the station, do I still need to lubricate the blades manually? And does the cleaning cartridge contain lubricant? For lubricated do I need anything more for the cleaning station besides the cleaning cartridge? 4. You wrote in the article that you don’t recommend Braun for wet shaving, because manual cleaning is problematic. But does wet shaving itself with an electric razor (especially Braun series 5) give a better effect than a dry shave? And can wet shaving take place e.g. in the shower, but without any foam/gel? 5. Browsing reviews for 5050cc I came across one in which someone as a flaw said that the head casing looks like aluminum and that it is unwise to rub the face of aluminum everyday. If this is true, does 5190cc have no aluminum? And what do you think about it? I would like to see your opinion on that. And despite all differences, according to you, it is worth paying extra $35-$40 for 5190cc (having in mind less cleaning cartridges in the set), mainly to have the possibility of wet shaving and the choice of 3 programs in the station? Of course having in mind that the razor should provide its use for at least 6 years? 1. The station selects the cleaning mode automatically and yes, they all seem to last the same. Therefore I don’t think one mode would be significantly more economical than another. 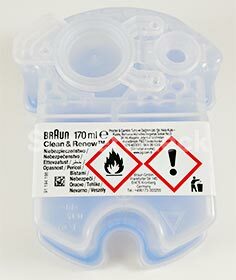 The only cleaning mode that would save cleaning fluid is the quick clean setting that was available with some older Series 7 stations, but those are now discontinued. That mode only took around 20 seconds to complete. So in my opinion the 3 cleaning modes shouldn’t be a decisive factor in choosing a Series 5 model. 2. All Series 5 cleaning stations lack any drying systems. The downside of this is that it takes longer for the cleaning fluid to dry, but with no impact on the lifespan of the shaver. Even with a fan or an inductive element, the drying process would still take between 45 minutes and 2 hours. I am yet to see rust on an electric shaver and I’ve been using them for over 15 years. 3. If you clean your shaver with the station regularly, there’s no need for additional lubrication. The cleaning fluid also lubricates the blades. 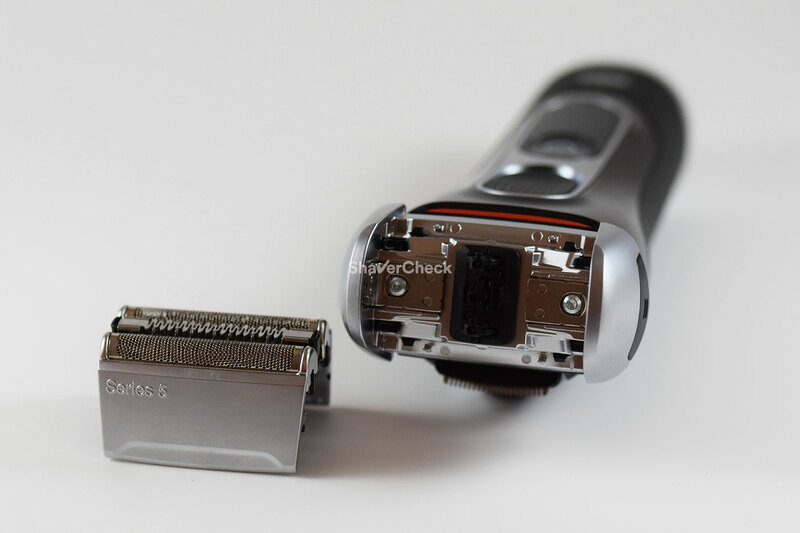 Otherwise, here‘s everything you need to know about lubricating an electric shaver. 4. Wet shaving only improved my results marginally, and since you must also clean and dry your shaver manually before using the station (foam/lather can clog it), I tend to recommend Braun shavers for dry shaving. You can of course shave in the shower with a wet/dry model without gel. 5. The shaving head is made out of plastic, it just looks like aluminum. I would personally opt for the 5050cc for the reasons outlined above and because it also costs less. Thank You very much for your help! I will probably buy the 5050cc model. 1. About how long does it take to dry the razor without this drying mode at the cleaning station? After about 8 hours after cleaning, can I use the shaver? 2. 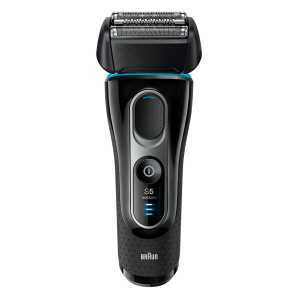 I am currently using a Philips HQ 6927/16 rotary shaver. It shaves well hair that grows on moles. Will I also shaves them with the foil shaver without any problems and without irritate moles? 3. 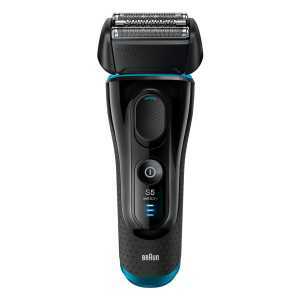 My friend recommended me Braun Series 3 3090cc due to the MicroComb technology. It is $5 cheaper than 5050cc. Is there anything to wonder about? 4. In 5050cc is there any aluminum at all? You are very welcome, Chaser. 1. It takes around 4 hours, so you can definitely use it 8 hours after the cleaning process. 2. It actually works really well, I also have a mole right above my upper lip that’s always been a problem in my wet shaving days. Never had any problems with electric shavers and the ones from Braun are particularly gentle and forgiving, including the Series 5. Just make sure not to press too hard and only use one of the two outer foils when going over a mole that protrudes from the skin. The middle trimmer is the only one that could potentially cause a nick, but again, you’ll really have to try hard to do that. 3. Between the Series 3 and 5, the latter is by far the better shaver. It is superior in every way and it shaves a lot better than the price difference might suggest. 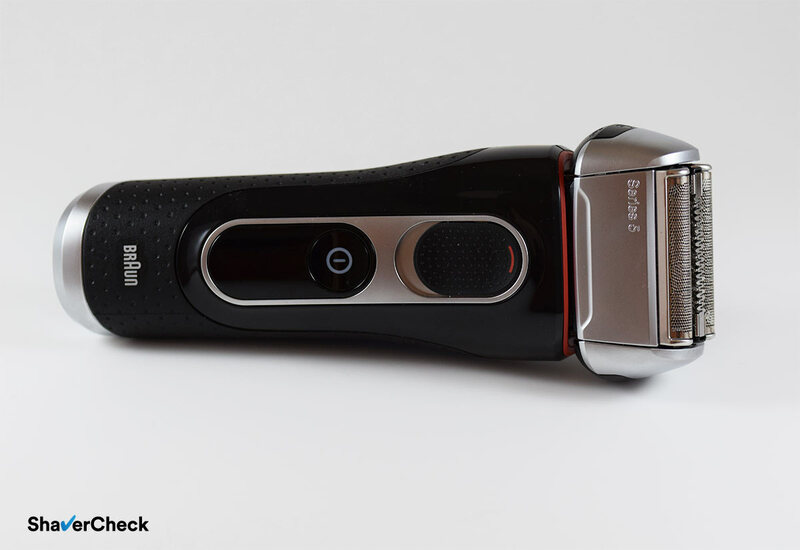 That MicroComb technology of the Series 3 simply refers to the middle trimmer that should capture longer hairs. However, the one on the Series 5 is a lot better. 4. No, at least not in any external parts of the shaver that would come in contact with the skin. It’s only plastic (body and foil frame) and hypoallergenic stainless steel for the foils and blades. Again, thanks a lot! I bought the 5050cc model. I hope that I will be very pleased with this shaver. Do I need to charge the razor before the first use? I ask, because with the Braun electric toothbrush Oral-B I found that the toothbrush lasted longer on the battery when the first time it was not charged, it only exhausted the battery until the end. The last Braun shavers that I bought came with the battery completely discharged, so I had to charge them before the first use. With modern Li-ion and Li-polymer batteries this doesn’t really matter actually. If it has enough juice in it you can go ahead and start using it, otherwise just plug it in. For more details on prolonging the lifespan of the battery check out number 5 in this list. I hope you’ll enjoy shaving with your new Series 5! 5070cc or 5190cc which one would you recommend, Nicolae? 5070cc or 5190cc which one would you recommend? I have the 5147s and I still don’t understand why I couldn’t/shouldn’t use the cleaning and charging station. The shaver does have the two contact points that can be utilized with the appropriate station. Can you expound on this? There are many available to purchase online. Thank you for your comment. The Series 5 S models (like your 5147s) are not fitted with dedicated chip used to communicate with the station. Therefore the cleaning station will not pair with the shaver and it will simply not work. It’s the same with the Series 3 and 9, the s Series 7 models being the only ones that will work with a station purchased later on. Bought the series 5 5030 model. It works great but my wife uses it and it leaves black on her face. Any ideas as to why? Can you be a bit more specific? I’m not exactly sure what you mean by black. some 20 years ago (when i was 18) i wanted to switch to electric and in the process avoid all the ceremony and time waste for manual whet shave and bought some cheap Philishave 2 rotary blade shaver. I didn’t like it then because my skin was pretty much irritated and didn’t feel as close shave as manual so i forgot about it for 20 years. Recently i got that urge to switch to electric back again for same reasons and i remembered that old almost unused shaver somewhere in my drawer. I gave it a shot and after a month i learned to shave and my beard did too. Now it feels like a descent shave with much less effort involved. All of that because of your observations and recommendations on shavercheck.com. I wanted to upgrade my experience and ordered Buraun 5030s based on all your reviews and I now wait for it to be delivered. Any specific advice just to not to be disappointed like i was 20 years ago and should I expect more gentle shave without irritation? Since i dont have cleaning station any advice on maintenance? Thank you for your comment. The Series 5 should be a massive improvement over your old Philips shaver. Since the Series 5 is a foil-based razor, shaving with it will require a different technique, but in my opinion it’s even easier to use and more forgiving than most rotary shavers. It’s very important to get the basics right: your skin must be as dry as possible (you may also use a pre-shave lotion), the shaver must be perpendicular to the skin during a stroke and always go against the direction of growth with controlled, repetitive strokes. You may alter the pressure depending on how sensitive your skin is, but start off very gently. It may take a couple of weeks to get a hang of it and get the best results. You can also check out the How to shave with a foil shaver section in this guide for more details. As for maintenance, always wash the cassette (inside and out) after every use with warm tap water and every once in a while use some liquid soap for a thorough cleaning. Also, once a week make sure to apply a drop of lubricant on each foil (you can use sewing machine oil, clipper oil or a spray lubricant for electric shavers). Here are all the details. Thank you so much for this article. I am trying to buy a new Braun shaver for my husband for Christmas but I didn’t a single thing about shavers. Very informative and a wealth of information. Thank you for your comment, Joyce. I’m glad you found the article useful. I hope your husband will enjoy using his new shaver. My husband has never used an electric razor before. He has tremors and it is taking him an hour to shave manually so thought he would give this a try. Was all set to buy the 55190cc but now I see you can’t use shaving cream with that one and he will definitely still want to use shaving cream. Is there another brand/model that would be better? The Series 5 5190cc can be used with shaving cream. There are other wet/dry Series 5 models besides that one, I listed all of them in the comparison table from the article. I think the Series 5 would be a very good choice for a first time user as well. Wow.. lots of interesting information. Thank you for your comment. There is less demand for the black variation of the 52 cassette as most Series 5 models come with a silver head. That is one of the reasons behind the price difference. Also, if a store can get the part for less money from a certain supplier, they can also sell it at a lower price while still maintaining their usual margin. Other than the color, the 52s and 52b are identical performance-wise. If you’re not bothered by the color mismatch, you can definitely buy the black one. Thank you for your comment, glad to hear you found the information useful. Enjoy your new Series 5! Hi, im looking to buy one of braun 5series. Maybe you know what a diferent from BRAUN CoolTec CT2s vs 5040s? The Braun CoolTec is essentially a Series 3 with a cooling strip. Performance-wise, the Series 5 is superior in all regards. What are the differences between the 5020s and the 5030s? The 5020s has a 45 minute rated battery, while the 5030s battery has an official autonomy of 50 minutes. Both can be used corded or cordless. Struggling a bit here. For me it’s still a lot to spend on a shaver so trying to see what I can do. On amazon I see a series 5 5040s for $85. But no cleaning station. The 5190/5090 is $130 with the cleaning station. How valuable is the cleaning station in your opinion Ovidiu? Is it worth the $45 extra for just a charging station? Or can manually washing a 5040s under soap and water or dipping the shaver head alcohol by yourself be fine? My situation is basically as an African American I am switching off my andis t-outliner to find a better solution to my razor bump/razor burn situation! This braun series 5 seems to be an option to consider since it raises the hairs up before cutting to eliminating the whole going with the grain vs against the grain problem but what annoys me is since I’ve never tried a foil shaver before I’m a little hesitant, and you can’t buy the 5090 separate and charging station later down the line if you want to save money initially and make sure a foil shaver is for you and then down the line add the cleaning station if needed. I’m a student also so trying to be a little cautious can’t afford to splurge for an outcome that does not improve my situation you know? So yes can you perhaps please help shed some light here on what is the best investment given what I saw on amazon and the value of the charging station/vs manual cleaning alternatives? Thanks! Fantastic writing by the way this is seriously outstanding quality writing. And your use of charts and figures is very easy to follow and enhances completely nothing detracts or distracts. Very impressed with this. I usually recommend getting a cc model with the Series 5, 7 and 9 if it fits within the buyer’s budget. However, the cleaning station is there for the convenience, so if you want to save some money, getting a solo model like the 5040s is definitely a viable option as well. You can clean your shaver manually with warm tap water and liquid soap since it’s completely waterproof. In this case I would also recommend lubricating the blades on a regular basis (at least once a week). The cleaning station is handy to use every once in a while since very fine hair strands and dirt will accumulate inside the cassette, especially around the corners as you have very limited access. Performing an automatic cleaning twice a month for example takes care of this and also saves a lot of cleaning fluid (you can take the cartridge out and put the cap back when not using the station). But again, while the station is nice to have, it’s not absolutely necessary and if your budget is limited you can skip it. I think the Series 5 would be a very suitable choice for an African American man. It’s pretty similar performance-wise to the Series 7, but costs a lot less. In this price range, the Series 5 is arguably the most capable foil shaver for dealing with curly/wiry facial hair. Just make sure to be patient as you likely won’t get the very best results immediately. Your skin will need some time to adjust to the new way of shaving and your technique will also get better as time passes. Thank you for your comment, Bob. That’s very kind. I’m glad you found the post useful. Hi from Greece, you do amazing reviews and articles. I have a question for you. I need a shaver for my skull. I think I am between 3010s and 5030s which are same price in my country. Which one would you consider better? Also, do you know if its possible to leave a black shadow if i like with those? Between the two, definitely the 5030s. The Series 5 is significantly better than the Series 3 performance-wise and since you can get them both at the same price, it’s really no contest. As for the shadow, I think it’s achievable to some extent since electric shavers don’t shave quite as close as a razor blade. However I cannot say this with certainty as I do not shave my head. Thank you for your comment, I really appreciate it. While Panasonic shavers are in general easier to clean manually, in your case I think a Braun will be much better suited for the job. They’re superior to Panasonic when shaving curly/wiry hairs and are gentler to sensitive skin, especially during a dry shave. Also, Panasonic electric razors work best on short, straight hairs and shave really close, which in the case of curly facial hair can increase the odds of getting ingrown hairs and bumps. So my recommendation would be to go for Braun shaver. Depending on your budget, you should consider a Series 5, 7 or 9. I think the 7 is probably the one to have as it offers a great compromise of performance and costs. But whichever you and up choosing, there’s also the option of a cleaning station (the so-called cc models). You can simply use it a few times a month to remove any grime buildup inside the shaving head, then simply remove the cartridge, put the cap back on and store them until they’re needed again. In the meantime, you can simply clean the shaver manually with water and liquid soap. Third-party cleaning solutions are also a lot cheaper than Braun’s refill CCR cartridges.